Our Family Dentist in Castle Rock, CO offers services for the whole family! Castle Valley Dental has provided exceptional family dental services to the community and its surrounding area for a number of years. Castle Valley Dental truly cares about their patients and wants them to understand the importance of dental health. It’s understandable that taking a trip to see the dentist isn’t always the most fun or exciting thing to do, which is why we have provided informational tools for all its patients to review upon receiving treatment. Dental health is a growing concern for parents today. As health issues are spiking, parents are looking to educate themselves on the necessary precautions they should be taking to avoid extensive health issues. It is recommended that patients visit the dentist at least twice per year. It is beneficial for patients to remain under the same dental care if at all possible. 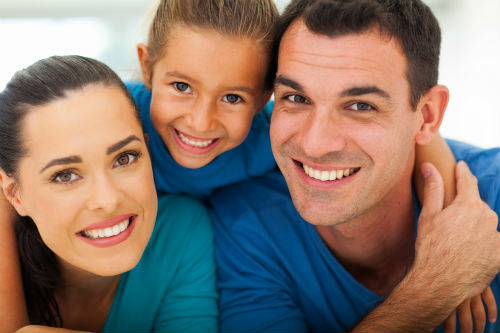 Finding a family dentist should be an easy task, however, that is not always the case. Castle Valley Dental provides exceptional care toward their patients, which allows for an easy decision to visit our office. Castle Valley Dental enjoys helping patients enjoy a healthy, beautiful smile. Our family dentists and staff are equipped to handle all dental needs in which a patient may request. The staff is highly trained in a plethora of dental services such as annual oral examinations, bonding, braces, bridges, cosmetic dentistry, cosmetic contouring, crowns, extractions, fillings, implants, Invisalign, mouth guards, dentures, scaling, root planing, sealants, sedation dentistry, teeth whitening and veneers. With the advancement of technology comes the advancement of services which are provided to patients.Castle Valley Dental is up-to date with the latest technology with laser dentistry. This allows for more effective services that are less time consuming. Patient convenience is important which is why this dental office has convenient morning and evening appointments. Having a dental office your entire family can attend is a goal thatCastle Valley Dental has worked diligently to provide. They adhere to patients needs and desires. Most insurances are accepted at Castle Valley Dental and if not, their knowledgeable staff is trained to assist with getting you the best dental health care.Castle Valley Dental also offers specials on dental work for their patients. Patients have the option to schedule appointments online or over the phone.Castle Valley Dental has loaded their website with plenty of useful information when it comes to dental care and services. If you’re in the process of searching for a new dental home for you and your family,Castle Valley Dental is a place you and your family can call home. We look forward to taking care of all your dental needs.